Children newborn to Age 5 (Kindergarten) are welcomed in an engaging and fun experience. Kids will learn how much God loves them, what a special creation they are, and how Jesus wants to be their best friend forever. Classes are held every week during the second half of our 8:30a & 10:30a services. Children are dismissed during our offering to their classes in the upper level of our Life Center building.  If my child is attending Shiloh Kids for the first time, how will I know where to go or what to do? At Shiloh Kids, we LOVE our first time visitors! You will find a Kid Check-In station with kiosks located at our Welcome Center in the main sanctuary. Our greeters will help you check in to receive security name tags for your child. You will have your own tag with a security code that matches your child’s tag. Just hang onto that tag and hand it to the classroom teacher when you pick up your child. At Shiloh children join their parents for the main worship experience at the start of every service in the sanctuary. Children are dismissed to walk with parents over to classrooms in the Life Center after our offering. The Life Center is our second building located in the parking lot next to our main building. We always have a police officer and security volunteers keeping our buildings and children safe and secure. 2. If your child is potty training, please bring a change of clothes for them in case they have an accident while at church. 3. Details concerning feeding and napping schedules. Teachers will have forms available for you to fill out this information. Yes, Children ages 6 months through 18 months will be offered Gerber Puffs and children 18 months through kindergarten will be offered Stauffer’s Animal Crackers and Pepperidge Farm Goldfish (ingredients below). At times, a special snack may be offered. If your child is allergic to certain foods being served, please notify the teacher. You are always welcome to pack a safe snack for your child with allergies. Gerber Puffs Ingredients: Rice flour, whole wheat flour, wheat starch, cane sugar, whole grain oat flour, dried apple puree less than 2% of: natural strawberry apple flavor (includes strawberry and apple juice concentrates) calcium phosphate, mixed tocopherols (to maintain freshness), sunflower lecithin. Vitamins and Minerals: Iron(electrolytic), Vitamin E (alpha tocopheryl acetate), Niacinamide (A B Vitamin), Vitamin B6 (pyridoxine hydrochloride), Vitamin B1 (thiamine hydrochloride). Animal Crackers Ingredients: Enriched flour (wheat flour, niacin, reduced iron, thiamine mononitrate (Vitamin B1), riboflavin (Vitamin B2), folic acid, sugar, soybean oil, high fructose corn syrup, salt, baking soda, (for leavening), soy lecithin (an emulsifier), natural flavor, spice. Contains: soy, wheat. Made in a bakery that uses peanuts and tree nuts. Goldfish Ingredients: Made with smiles and enriched wheat flour (flour niacin, reduced iron, thiamine mononitrate, riboflavin, folic acid), cheddar cheese (cultured milk, salt, yeast, sugar, autolyzed yeast, baking soda, monocalcium phosphate, paprika, spices, celery, onion powder. Contains: wheat, milk. To ensure a safe and healthy environment for every child, we request that parents take responsibility for making sure their children are well before coming to church. Please make sure children are symptom free for at least 24 hours before bringing them to class. For more information on our wellness policy you can check the detailed policy for our “Bug Free Zone” posted in every classroom. We want everyone to have an incredible worship experience and that is why we offer a cry/nursing room in our main sanctuary to help nursing moms or those with fussy babies. If your child has joined a class and is crying and missing you, we will text your phone for you to come pick up your child.